SANTA MONICA, Calif.--(BUSINESS WIRE)--With the upcoming release of Call of Duty®: Black Ops III, the sequel to the best-selling series in Call of Duty® history, eSports is poised to expand to new audiences, while introducing new ways for fans of all skill levels to join the eSports movement. 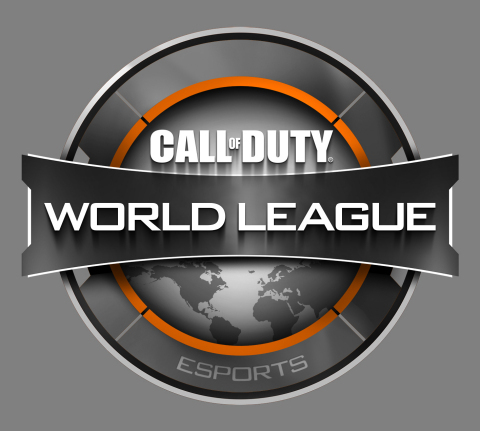 Activision Publishing, Inc., a wholly owned subsidiary of Activision Blizzard (Nasdaq: ATVI), and Call of Duty announced today the creation of the Call of Duty® World League, a worldwide eSports league by Activision in support of the #1 console eSports franchise, Call of Duty. The new league marks an unprecedented commitment by Call of Duty and its dedicated eSports team to directly support the growing community of eSports fans. The program will provide a deeper level of engagement with the elite circuit of professional gamers, while also encouraging casual fans and aspiring competitors of Call of Duty to enjoy the thrill of competition across different skill levels. The Call of Duty World League will be comprised of two Divisions – The Pro Division and The Challenge Division – each of which will feed into the grand finale of the competitive Call of Duty season, and the biggest event in console eSports, the Call of Duty Championship. Professional Call of Duty teams in North America, Europe, and Australia & New Zealand will battle throughout the year in regional competition during The Pro Division regular season to earn their ticket to the Call of Duty Championship, and will compete for the largest seasonal cash prizes in Call of Duty to date. The Call of Duty World League Pro Division kicks off competition in January 2016 in North America, Europe, and Australia & New Zealand. With the Pro and Challenge Divisions of the Call of Duty World League there is an unmatched level of series and tournament combined prizing available. There’s more than $3 million on the line between series payouts, LAN events, and the Call of Duty Championship, making it is the biggest total prize pool for Call of Duty eSports, and more than triple the previous prizing. Activision has formed a team dedicated to launching and coordinating the Call of Duty World League, which will start with the launch of Call of Duty: Black Ops III. Further details including broadcast, personnel and partnerships will be released at a later date. For more information on the Call of Duty World League, announcements about the Call of Duty Championship 2016 and other Call of Duty eSports news go to https://www.callofduty.com/esports. Fans can also follow @eSportsCOD on Twitter. More information on Call of Duty: Black Ops III can be found at http://www.callofduty.com/blackops3, on Facebook http://www.facebook.com/Callofduty or on Twitter @Treyarch. Headquartered in Santa Monica, California, Activision Publishing, Inc. is a leading global producer and publisher of interactive entertainment. Activision maintains operations throughout the world and is a division of Activision Blizzard (NASDAQ: ATVI), an S&P 500 company. More information about Activision and its products can be found on the company's website www.activision.com or by following @Activision. Cautionary Note Regarding Forward-looking Statements: Information in this press release that involves Activision Publishing’s expectations, plans, intentions or strategies regarding the future, including statements about the Call of Duty® World League and its Divisions, are forward-looking statements that are not facts and involve a number of risks and uncertainties. Factors that could cause Activision Publishing’s actual future results to differ materially from those expressed in the forward-looking statements set forth in this release include unanticipated product delays and other factors identified in the risk factors sections of Activision Blizzard’s most recent annual report on Form 10-K and any subsequent quarterly reports on Form 10-Q. The forward-looking statements in this release are based upon information available to Activision Publishing and Activision Blizzard as of the date of this release, and neither Activision Publishing nor Activision Blizzard assumes any obligation to update any such forward-looking statements. Forward-looking statements believed to be true when made may ultimately prove to be incorrect. These statements are not guarantees of the future performance of Activision Publishing or Activision Blizzard and are subject to risks, uncertainties and other factors, some of which are beyond its control and may cause actual results to differ materially from current expectations. eSports features not supported on all platforms.